Nick Nolte was one of the biggest stars on the planet back in 1977 when Star Wars premiered in theaters. Though, he never participated in any of the movies, carving out his own path as a dramatic force to be reckoned with. 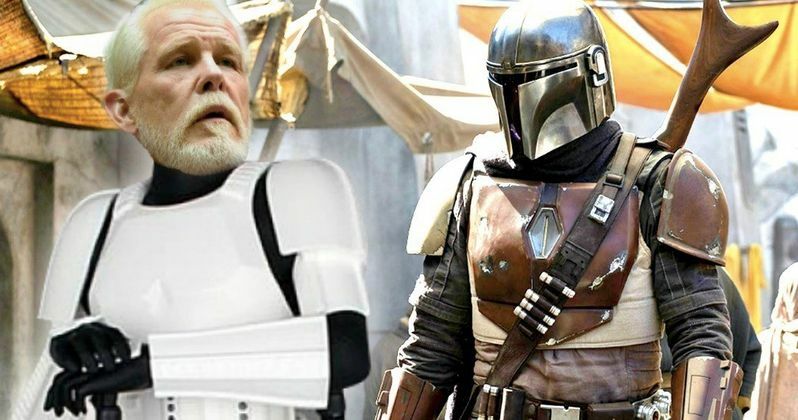 Now, that all changes as Nick Nolte officially joins the Star Wars universe as a cast member in the upcoming live-action TV series The Mandalorian. The Mandalorian is the first of two official Star Wars live-action TV shows being planned for Disney's new streaming service, Disney+. The second series is a Rogue One Prequel starring Diego Luna as Cassian Andor, which follows his early days with the Rebellion, and could include characters from the animated series Star Wars Rebels. The Mandalorian doesn't have such ties to existing movies in the canon. It stands as its own thing, though it too could bring in characters from past movies, TV shows, and books. The Mandalorian, which is being overseen by The Jungle Book and The Lion King director Jon Favreau, has Pedro Pascal in the lead as the title character. Gina Carano has also come aboard this Lucasfilm produced 10 episode adventure. It will definitely be mining some of the older Star Wars mythology while building its own legacy in the outer rim. Nick Nolte's character hasn't been revealed at this time. Pascal is playing a lone gunman from the home world of bounty hunters Jango and Boba Fett. Gina Carano's role is also being kept under warps, and while we know the gunman will be exploring the further reaches of the galaxy, the main story in season 1 hasn't been explained in any detail. And it's not yet clear if this is a one season and done deal, or if Disney and Lucasfilm are looking to expand their episode run into the future. The Mandalorian will take place between Return of the Jedi and The Force Awakens. The Empire is in shambles after the Rebels blew up the second Death Star, but there are still Imperial troopers scattered across the galaxy, with Stormtroopers confirmed to be showing up in this new series. Star Wars: The Clone Wars mastermind Dave Filoni will be directing the first episode of the series. Other confirmed directors include Taika Waititi, Rick Famuyiwa, Deborah Chow and Bryce Dallas Howard. Aside from the unnamed Mandalorian at the forefront of the show, no other characters have been revealed. Carl Weathers was at one time believed to have a role in the series, but that has not yet been confirmed or denied. Jon Favreau, who had a small role in Solo, will be playing an all-new character in The Mandalorian. Taika Waititi is believed to be voicing a droid, and Bryce Dallas Howard will also be playing a small role. With Bryce Dallas Howard and Deborah Chow stepping into helm episodes, this will be the first-ever live-action Star Wars project with female directors attached. Nick Notle is currently starring in Til Schweiger's Head Full of Honey, which opens in New York and Los Angeles this weekend. Nick Nolte's casting was first broken by The Hollywood Reporter.